One of the big lessons I learned last year was certainly around my finances. It began with the Abundance Money School course I did with Linda Smith Harvey earlier last year – I honestly wish everyone would sign up for the course. It’s probably one of the best investments you’ll make. Isn’t it funny how people cringe away from talking about finances? It’s not really something that people like to talk about at all. The topic of money is a funny one. I’m sure some of you will see the words “Finance”, “Investment” and want to move on. If you had that thought, then I really urge you to read on. “Life happens when you’re making other plans.” You just never know what the future holds and I got to experience that personally with my announcement of resigning from 2Oceansvibe Radio and joining Smile 90.4 FM to co-host the Afternoon Drive Show. 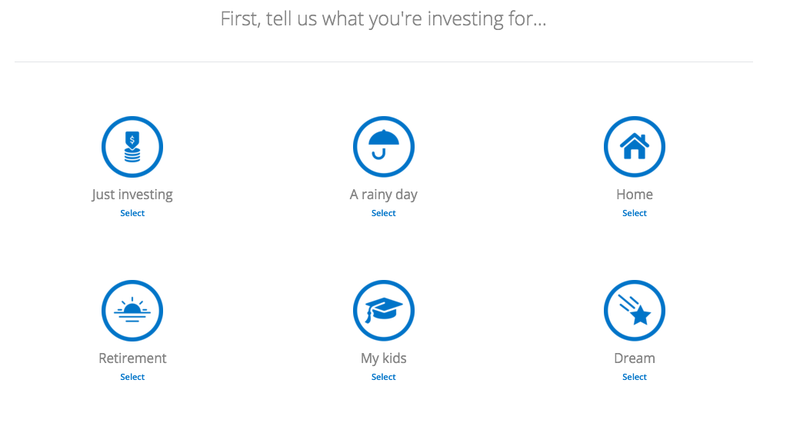 I always want to ensure that I’m investing wisely and making my money work for me. Sanlam Investments have understood the necessity for people to see their future self and find it easier to invest in a future that they identify with. 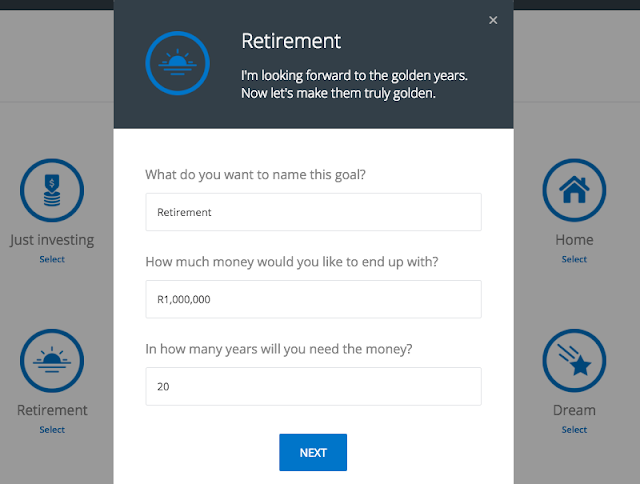 After the eye opening 6 week experience I had with my retiree, Sarah Ravenhill last year, which I shared on my blog, it’s made me look at my retirement, my investments and my savings in a whole new light. Originally I hadn’t even thought of retirement and just pushed away for when I get there. It didn’t occur to me that everything I’m doing today will decide on what type of retirement I have. Thought provoking. I wish I had started saving earlier, but it’s better late than never. If you haven’t thought about your retirement or haven’t got a saving structure in place, then read on! 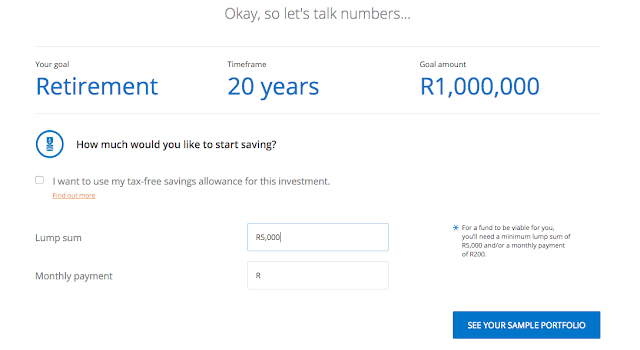 Sanlam Investments is aiming to create a simple, secure and low cost way to invest. 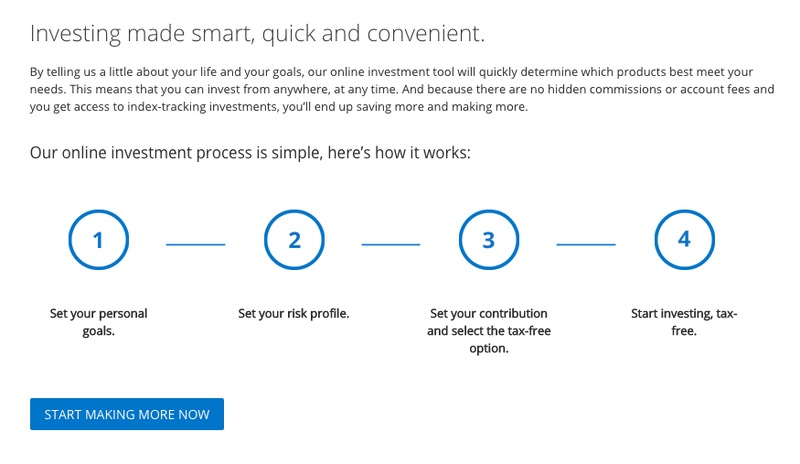 They offer us help with a personalised, fully-guided process that does the thinking for us while allowing us to stay in control or providing us with the freedom to make our own investment decisions by choosing our own funds. Everything about the application is designed to remove the barriers to investing and to empower us to invest, today. I put it to the test, by clicking here. 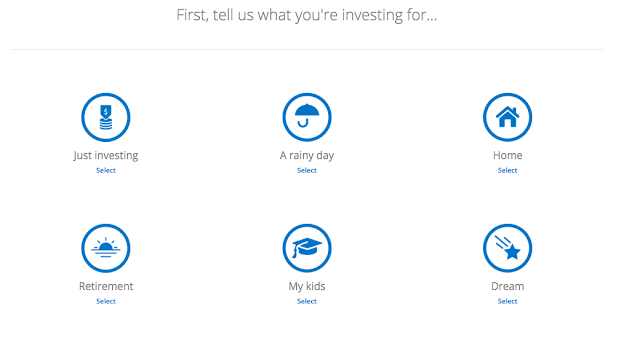 I nearly clicked on My Kids as a future investment (breathe Mom and Dad), but decided to rather click on Retirement since it’s fresh in my mind. I decided to show an example by making it a round figure of R1 million and in 20 years time. Obviously you can adjust that to the true funds you’d require in the correct time you’d need your retirement. Find out how to start saving tax-free now. 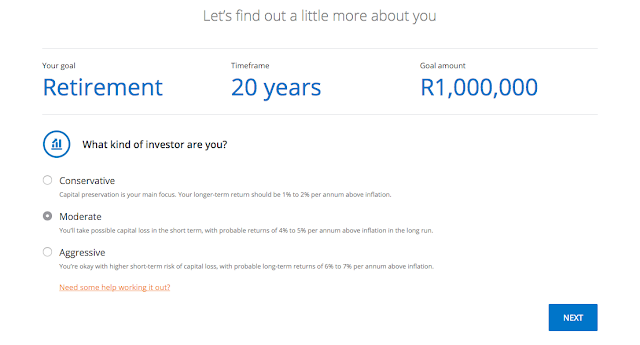 I chose a simple lump sum of R5000, which was the advised minimum and a monthly payment of 10% of that – R500. 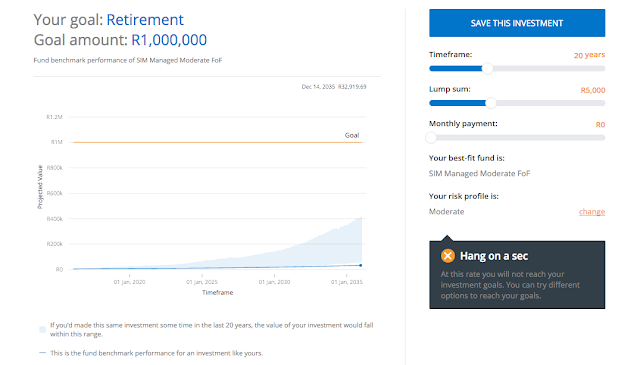 In a nutshell, I wouldn’t reach my goal in 20 years and would only hit R400 000. So I decided to move the scales on what I would need to save each month to reach my goal, without moving the lump sum… R1500 would need to be put away. You can obviously play around with the numbers and work out what suits you and your budget so that you’re comfortable. I love how simple it is for someone (me) who is quite overwhelmed by finances and numbers. 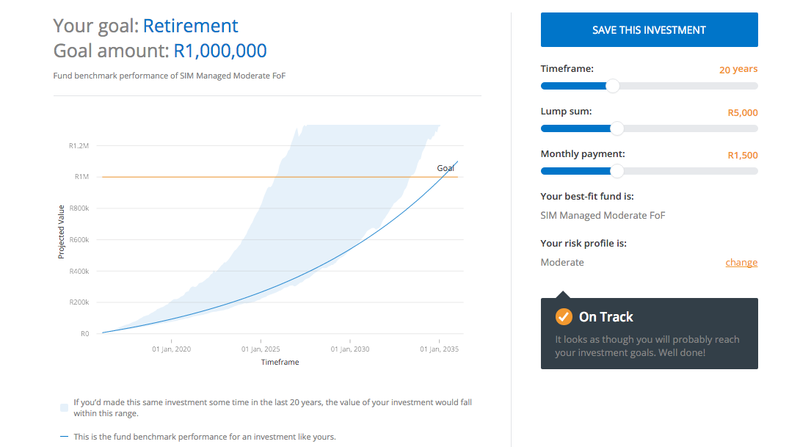 Another thing I find overwhelming is not knowing where to put my money, so it’s great to know that the Sanlam Investments asset management team is available to support me and give me the knowledge on what I would need to put away each month in order to reach my goals and where to invest! Give yourself a great start to 2016 and set up a rewarding financial year.